2015 Ssangyong Tivoli SUV - prices, specification and pictures | What Car? The new Ssangyong Tivoli small SUV is going on sale in May 2015. The Tivoli is Ssangyong's intended rival for the Nissan Juke and Renault Captur and was unveiled at the 2015 Geneva motor show. It measures 4.2 metres long and is around five centimetres longer than a Nissan Juke. It sits on an all-new platform - the first developed since Ssangyong was taken over by Indian industrial giant Mahindra. The Tivoli is a five-seater, and its boot capacity is 423 litres, or around 30 litres less than a Renault Captur. The Tivoli will be available from the outset with a 1.6-litre petrol engine, which produces 126bhp and 118lb ft of torque. A diesel version, a 1.6-litre unit producing 113bhp and 221lb ft, will come in June, alongside the option of four-wheel drive. In its cleanest form, the diesel-powered Tivoli will emit just 113g/km of CO2, while the highest emitting version is the two-wheel drive automatic petrol, which emits 167g/km. All models will get a six-speed manual gearbox as standard, but a six-speed automatic will be a £1000 option. Higher-end editions will also be available with four-wheel drive. As with many of the new breed of small SUVs, the Tivoli will be offered with a wide range of customisation options, including a seven-inch colour touch-screen on high-end editions, a contrast roof colour and, potentially, some bold interior trim finishes, although Ssangyong's UK importer has yet to commit to offering them all. There will be three trim levels to choose from - SE, EX and ELX. SE comes with 16in alloy wheels, cruise control, stop-start technology Bluetooth and a Smart steerign system that allows you to choose from normal, comfort and sport modes. EX adds 18in alloys, a seven-inch touchscreen audio system with a rear-view camera, leather upholstery and heated front seats, dual-zone climate control and luggage load cover. It also allows buyers to choose the automatic transmission. ELX comes with the full choice of engine and transmission combinations and front or four-wheel drive setups. It also adds keyless start, front and rear parking sensors, a rear spoiler and auto lights and wipers. 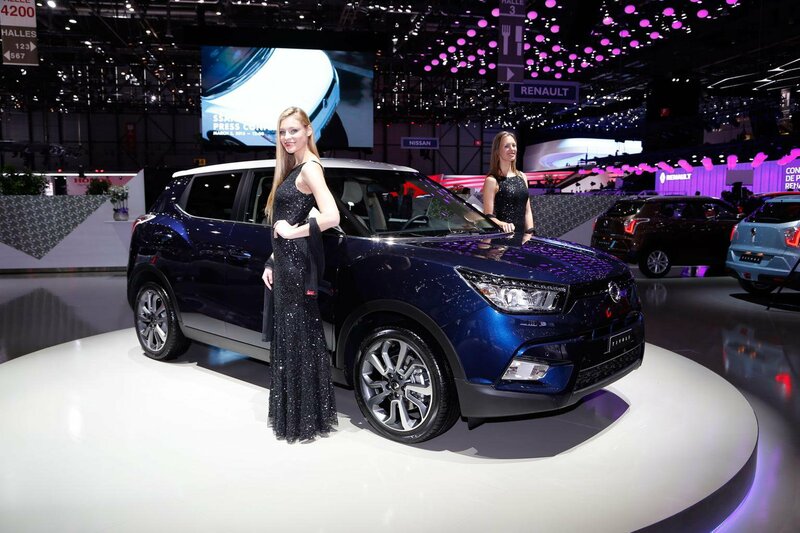 Ssangyong also offers a 'My Tivoli' programme, which allows a greater degree of personalisation. Cars can be specified with a two-tone roof, or come with a red leather interior. There is no guarantee that discounts will be generous on the Tivoli. It is already competitively priced and well equipped and it is a brand new model. The larger Korando does have savings through our Target Price, but they only range from about £600 to £800. Our mystery shoppers will keep a keen eye on proceedings. The small SUV segment is a booming one, with the likes of the Mazda CX-3 soon to go on sale in addition to the current offering. However, there are surprisingly few genuinely good cars in the class. We rate the four-star Renault Captur as the best of the current crop, but avoid the likes of the two-star Vauxhall Mokka and Mini Countryman.